For the past week, I have been suggesting small but emotionally significant ways of showing solidarity with Greek people during this crisis. This morning, I want to suggest watching some Greek movies. 1, The strict censorship imposed by the colonels brought about a decline in Greek cinema. When democracy was restored in the mid-1970s, the Greek film industry flourished again, and movies by Theo Angelopoulos won many international awards. His movies are marked by his metaphysical contemplations on the way people are caught up in the sweep of history, particularly modern Greek history In the 1970s and 1980s, he directed a series of critically acclaimed movies, including The Travelling Players (1975), The Hunters (1977), Voyage to Cythera (1984), Ulysses’ Gaze (Το βλέμμα του Οδυσσέα, To Vlémma tou Odysséa) (1995) and Eternity and a Day (1998), and The Dust of Time (Η Σκόνη του Χρόνου) (2008). 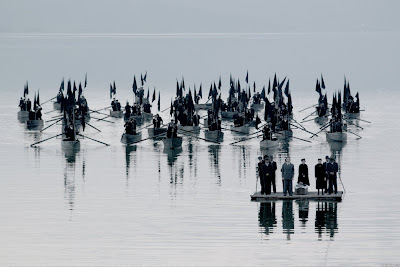 But perhaps my favourite film by Angelopoulos is The Weeping Meadow (Το Λιβάδι που δακρύζει) (2004), a beautiful and devastating meditation on war, history and loss. 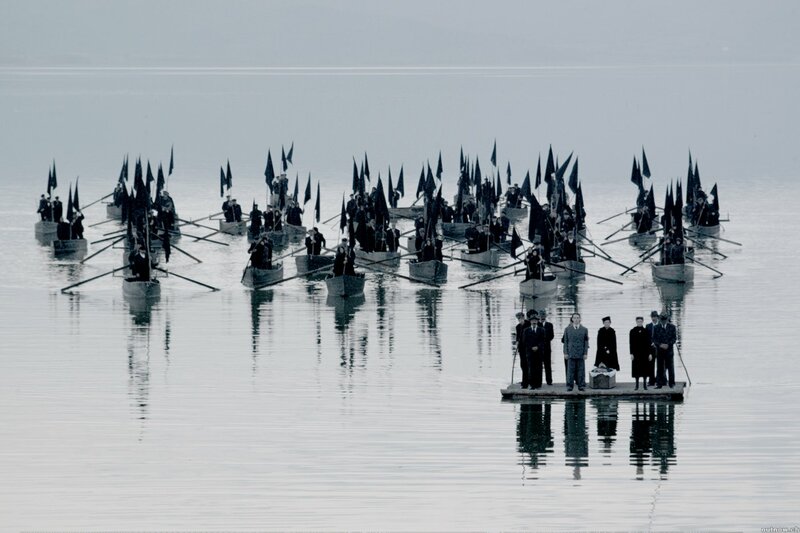 The Weeping Meadow tells the story of modern Greece from the close of World War I to the aftermath of World War II through the sufferings of one family. 2, The Greek biographical movie El Greco (2007) is based on the fictionalised biographical novel, El Greco Δομήνικος θεοτοκόπουλος Ο Ζωγράφος του θεού (El Greco: Domenikos Theotokopoulos o Zografos tou Theou, or El Greco: Domenikos Theotokopoulos, the Painter of God), by Dimitris Siatopoulos. It is directed by Yannis Smaragdis and written by Jackie Pavlenko. The main cast includes Greek actors Lakis Lazopoulos, Dimitra Matsouka, Dina Konsta, Sotiris Moustakas and Katerina Helmi, along with Juan Diego Botto, Laia Marull and others, with Nick Ashdon playing El Greco. Crete is the birthplace of El Greco, and a programme of exhibitions last year  marked ‘El Greco Year’ and the 400th anniversary of the death of the old master. The programme included the exhibition Domenikos Theotokopoulos between Venice and Rome in the Historical Museum of Crete in Iraklion yesterday. 3, A Touch of Spice (Πολίτικη Κουζίνα, Polítiki Kouzína) (2003), director Tasos Boulmetis, was the most successful Greek film in 2003, making over €12 million euros. It stars Georges Corraface as the adult Fanis Iakovides, while Markos Osse plays Fanis Iakovides as a child. The supporting role of his grandfather Vassilis is played by Tassos Bandis. The original Greek title, Πολίτικη Κουζίνα means “Cuisine of the City” – implicitly the “Cuisine of Constantinople”. However, the Greek promotional material puts the word Politiki in the title in capital letters, offering an alternative reading as Πολιτική Κουζίνα (Politikí Kouzína) which means “Political Cuisine,” an indication of the important place of politics in the lives of the movie’s characters. 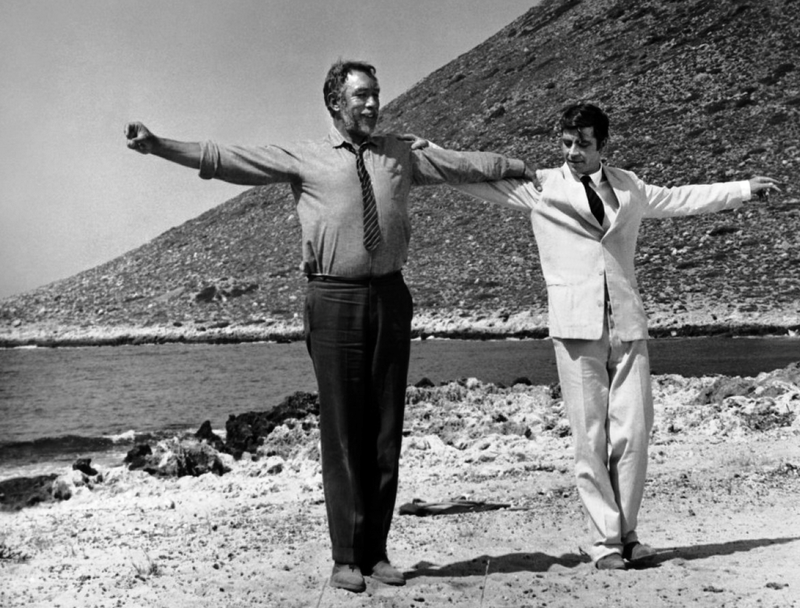 1, Zorba the Greek was made in Crete 50 years ago in 1964 by Michael Cacoyannis, and stars Anthony Quinn. It quickly became an international commercial success, and was nominated for the Academy Awards for Best Director, Best Adapted Screenplay and Best Film. The movie is based on the novel Zorba the Greek by Crete’s best-know Nikos Kazantzakis. 2, The British film Ill Met by Moonlight (1957), also known as Night Ambush, was the last movie made by the British team of Michael Powell and Emeric Pressburger. The music was composed by Mikis Theodorakis, and the movie stars Dirk Bogarde as Patrick Leigh-Fermor, with Marius Goring (General Heinrich Kreipe), David Oxley (Stanley Moss) and Cyril Cusack (Sandy Rendell). It is based on the book Ill Met by Moonlight: The Abduction of General Kreipe (1950) by Stanley Moss, in which he recounts his time in Crete in World War II as a British secret agent. The title is a quotation from Shakespeare’s A Midsummer Night’s Dream, and the book tells the story of the capture and evacuation of the German general. The experience of the German occupation during World War II still hurts many Greeks today. 3, Never on Sunday (Ποτέ Την Κυριακή) is a 1960 Greek black-and-white romantic comedy film starring Melina Mercouri, who was one of the potent figures in resistance to the oppressive junta of the colonels in Greece almost half a century ago. The theme song, “Never on Sunday,” also known as Τα Παιδιά του Πειραιά (“The Children of Piraeus”), was written by Manos Hadjidakis and became a hit when it was released in 1960. 1, Captain Corelli’s Mandolin (2001), directed by John Madden and based on Louis de Bernières’ 1994 novel of the same name, stars Nicolas Cage and Penélope Cruz. The film is dedicated to the thousands of Italian soldiers executed by German forces on Kephalonia in September 1943 and to the people of Kephalonia who were killed in the post-war earthquake. I am unhappy with some of ways this film, and the book too, deal with events in Greek history, such as the Civil War. But an early scene, when the Greeks refuse to surrender, is a pithy telling of why «'Οχι» (Ochi) is the only answer Greeks can give in the face of oppressive foreign demands. 2, Mediterraneo (1991) is an Italian movie filmed on the tiny island of Kastellórizo and once again this movie is set in World War II. A group of Italian soldiers become stranded on a Greek island in 1941, a year after Italy joins Germany against the Allies. These misfit Italian soldiers include a lieutenant who likes art and who is asked to restore the frescoes in the local church, a macho sergeant, a farmer accompanied by his donkey Silvana, and other quirky people. 3, Z (1969) was made in Algeria in French by the Greek director Costa Gavras because the oppressive colonels’ regime prevented it being made in Greece. It is based on the 1966 novel of the same name by Vassilis Vassilikos and is based on the assassination of the Greek politician Grigoris Lambrakis in 1963. Jean-Louis Trintignant is the investigating magistrate, based on Christos Sartzetakis who later became President of Greece; Yves Montand; and Irene Papas. The title Z refers to a popular Greek protest slogan «Ζει» (“He lives”) in reference to Lambrakis. 1, A Facebook photograph of real Greek yoghurt – not Greek-style yoghurt – and Greek honey. 2, Picking a Greek football team to support as a gesture of solidarity. 3, Reading or re-reading the classics and re-discovering the foundations of European civilisation and culture. 4, On Sunday, I asked people to Pray for Greece, Pray for Europe. 5, On Monday, I suggested eating out in a Greek restaurant as a way of showing support for your local Greek community and listed Greek restaurants in places I know, including the greater Dublin area, towns near Lichfield, Cambridge and London. 6, Yesterday, I suggested changing your banner or cover photograph page on your blog or Facebook page, and offered a variety of my own photographs to help do this.